This pizza sauce from scratch recipe requires no cooking and quick to make. Try this Simple easy to follow recipe. Make your own pizza sauce at home. Combine tomato paste, water, and oil. Add garlic, basil, and oregano, mixing thoroughly. Add salt and pepper to taste. A quart mason jar works perfectly; ingredients can be added and shaken to mix. For best results place in refrigerator overnight or allow the mixture to rest before using. Makes 1/2 quart. finally…pizza tomato sauce that ive been wondering. best sauce ever!I used tomato paste and petite diced tomatoes instead of crushed and pureed tomatoes. 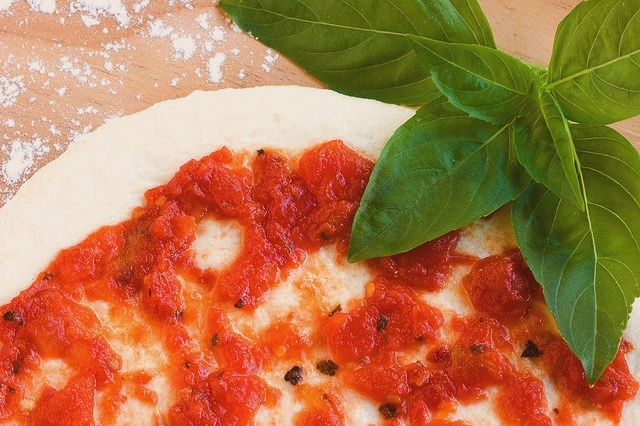 after using my variations it makes a superb pizza sauce, but either way it is still perfect!